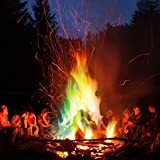 If your current tealight candles aren't adding enough dramatic flickering illumination, then check out these cool new Rainbow Candles from designer Matsudaira Hiroshiotto. 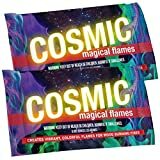 Simply light these tealight candles and the first stage produces a flame with multiple hues and colors of green (copper), red (lithium), purple (potassium), and yellow (sodium) for around five minutes and then the second stage reverts back to an ordinary flame for 120 minutes. Check out this video to see them in action. 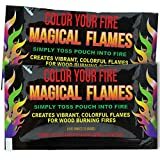 Magical Flames 25-pack: TWICE THE COLOR, half the price!